24HRS. $10. YOU CAN CHANGE OUR WORLD! ...to get the most people to make a single donation of just $10 to our rescue. Thanks to Fairfield County’s Community Foundation, the non-profit organization who gets the MOST unique donations in 24 hours (so only donate ONCE PER PERSON) can WIN an Extra $20,000 for that rescue! 3. Forward this email to 5 friends. Encourage them to join you in giving to Kitten Associates, too. Make your donation between the following hours for a bonus that could help us win up to $5000! and YES your donation is tax deductible, too! 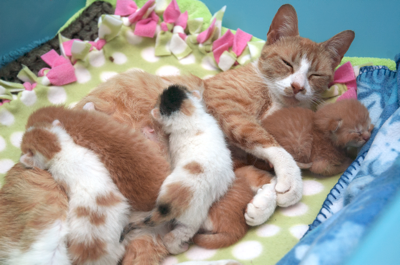 Minnie was found in Bridgeport, nearly starved to death, along with her 5 days-old kittens. They were in a basement window well and a heavy rainstorm was coming soon. We shudder to think of what could have happened to Minnie and her family had we not said YES when we were asked to help. Today, Minnie basks in a home filled with love where her nickname is "Little Peanut." Her kittens are grown and in loving homes of their own. We've been honored to be part of over 400 cat's rescues since we opened in 2010 and we can't wait to rescue more with your help. We're a 501c3, non-profit, 100% volunteer, home-foster-based rescue. We rely solely on donations to provide food, vet care and more for our foster cats and kittens. We also help our community with our FREE Cat Behavior Counseling service for any cat with behavior problems, as well as create fun programs for local families. One of our programs, Kitties for Kids, garnered us a Certificate of Special Recognition from Senator Richard Blumenthal, for our Outstanding Service to the families of Newtown after the tragedy here in 2012. If we won the first prize of $20,000 it would be a GAME-CHANGER for us. Among other things, it would allow us to finally update our worn out, run down main foster room so our foster cats could stay healthier and be happier until they find their forever home. Thank you for your consideration! Read more about 24HRS. $10. YOU CAN CHANGE OUR WORLD! Go HERE to give your life-saving gift OR use the DONATE TODAY button on the right so we'll be ready to provide for the kittens when they arrive! 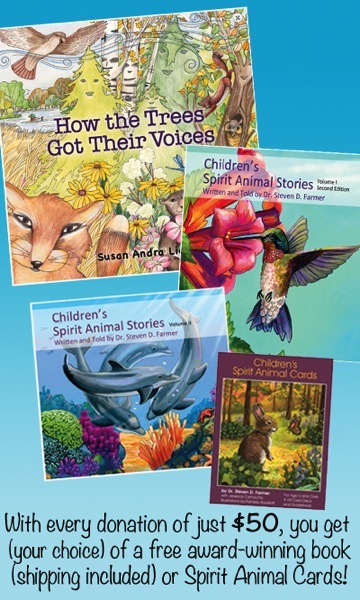 Award-Winning Children's Book Publisher Comes to Our Rescue! Thanks to the kind and generous people at Satiama, we're thrilled to announce a great offer that enriches the lives of children AND helps our rescue efforts! For a donation of just $50 (or more) to our rescue, Satiama will donate to the first 30 contributors, one of the following products of their choice. (some of the selections are shown in the image below). Pick the product and they will send it and even pay for the shipping! 1. Go to Satiama, check out their books. Choose your favorite from those listed on THIS PAGE. 2. DONATE $50 to Kitten Associates using the DONATE TODAY button. Please include your book or card set selection in the PayPal notes when you make your donation and include your USPS mailing address. Delivery in the US only. Media mail will be used when possible. Sorry, but NO exchanges. Read more about Award-Winning Children's Book Publisher Comes to Our Rescue!